It is still Woody Allen!!!! even though you don't see him in the film but he is everywhere. Owen Wilson is the walking life of him, just another mini me but yet younger and slightly more charming......in some ways. 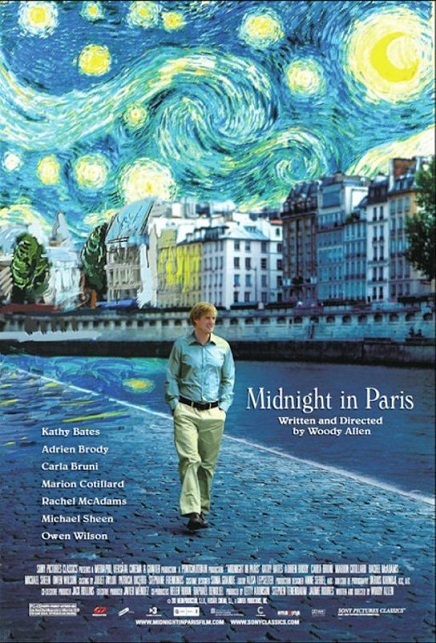 Besides, there are still lots of New Yorkers' fantasy and living elements in the entire movie, the way they see things, the way they react to the new environment, the way their gesture towards a new place with new culture are still remain in their roots, always want more but never ready to give in, ambitious yet romantic (not comparing to the French). ﻿The production were playful, magical and full of fantasy especially the golden age era and Paris in 1920's including the set and the costume, it is merely impeccable. In order for you to fall for Allen's movies, you have to have a little bit of your own lunatic surrealism moments and put yourself into the created character, you would then enjoy more while watching his films with his scripted intelligent gags. Some said it could be one of Allen's best film ever in his entire filming life, perhaps we don't disagree to that.